We know that the decisions we take can have an impact on your day-to-day life. That’s why we want to make sure that, instead of just hearing about us and what we do, you also have the chance to talk with us directly. ECB Youth Dialogue with Benoît Cœuré: Generation Euro – what can Europe do for you? The ECB held its sixth Youth Dialogue in partnership with Bocconi University and Debating Europe – an online platform where young people can discuss current issues with Europe’s leaders. On 13 March 2019, ECB Executive Board member Benoît Cœuré met with students to discuss the challenges faced by young Europeans today. Ahead of the event, we asked you to send in your questions for Benoît Cœuré via Twitter or by commenting on the Debating Europe platform. We added a selection of these questions to the live debate. We need to redirect public spending towards education in Europe. Young students should receive the education they need to successfully compete in the global digital labour market. We must strengthen Europe’s capacity to innovate. Public and private investment should support digitalisation in leading industries, and capital market union can play a pivotal role in allocating capital where it is most needed. You are the ones who will chart the path that decides where the currents of history will take Europe next. Italy’s economic situation is not a threat to the eurozone. Italy’s main challenge is to increase productivity in the longer term. Gender inequality is a limit to growth. If more women work and get equal pay, that would raise the standard of living in Europe. Cash is an essential part of trust in currency. Means of payment have to be driven by social demand. We are studying digital currencies, but we still see strong demand for cash in the eurozone. 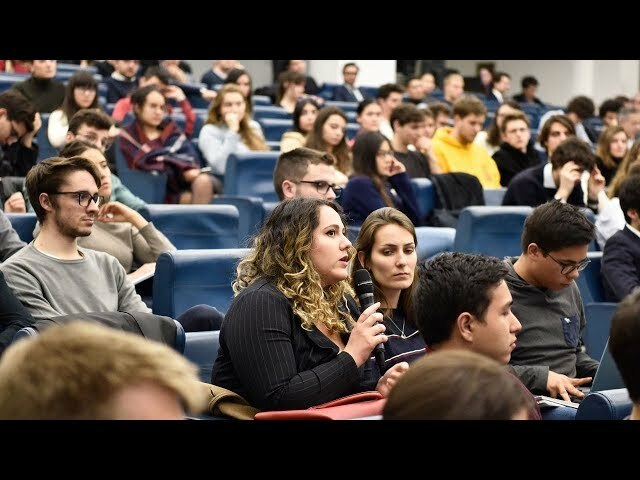 Watch the exchange of questions and answers on these and other topics between Benoît Cœuré and students of Bocconi University. If you would like to receive information about future ECB educational and youth initiatives, sign up to our mailing list. The third Youth Dialogue took place in partnership with Debating Europe – an online platform where young people can discuss current issues with Europe’s leaders. 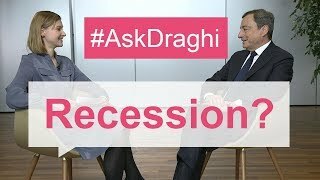 Watch the answers President Draghi gave to some of the questions received and have a look at the debate on our social media channels! The European economy has been continuously expanding for several years now and employment is higher than ever, but we have to continue improving and make sure everyone benefits. When will Europe fully recover from its recession? Imagine artificial intelligence and robots cause massive (youth) unemployment. How will the ECB react? Blockchain is an innovative technology that could improve efficiency. We are assessing whether it could be used in our own services in the future. 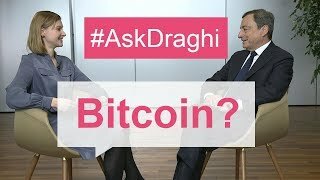 Concerning bitcoin and whether you should trust it, President Draghi advises caution, as it is not backed by any central bank or government, adding that it is not the ECB’s job to regulate it. How can we harness blockchain technology to support the economy? If you were a young university student like me, would you buy some bitcoin and keep it for safety? The last crisis was severe, but the worst of it is behind us. European countries entered the crisis with major weaknesses and were not able to react adequately. Today, significant progress has been made in many areas, making us better equipped for the future. Do you think the EU and ECB will be able to reform enough to be able to cope with yet another big economic crisis, before the next crisis happens? President Mario Draghi met with young Europeans on Friday, 22 September 2017, at Trinity College Dublin. The event was organised in partnership with the Central Bank of Ireland and Trinity College Dublin. Will blockchain have a role in the future? Is the potential for house price bubbles a growing concern for the Governing Council? To what extent is forward guidance and clear communication seen as a key component of modern central banks? 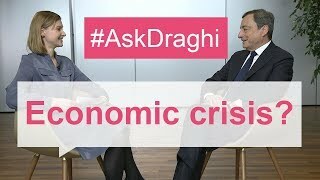 Watch the exchange of questions and answers on these and other topics between President Draghi and economics students from Trinity College Dublin. President Mario Draghi hosted the ECB’s first Youth Dialogue in Lisbon organised in partnership with the Banco de Portugal and ISEG – Lisbon School of Economics and Management. Explore the discussion about the meaning of innovation and productivity for young people.